BMW has put together its most powerful non-M 3 Series ever. 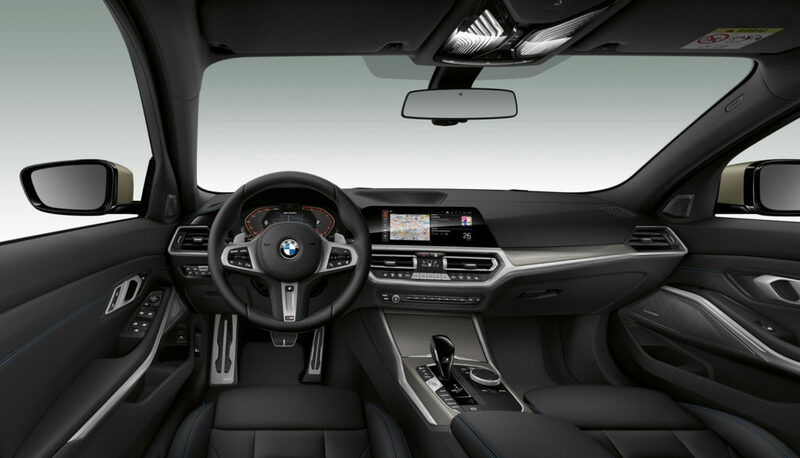 Fitted with a new 3.0-liter six-cylinder unit, the 2020 BMW M340i M Performance 3 Series will make its world debut at the Los Angeles International Auto Show. The new BMW M Performance models will feature an updated six-cylinder inline gasoline engine, M Performance chassis tuning, and an M Sport rear differential. The new version of the straight-six engine, developed for the BMW M340i, produces 387ps and peak torque of 500Nm. The 3.0 liter, six-cylinder, inline engine features an aluminum crankcase and aluminum cylinder head. A new, single, twin-scroll turbocharger with an integral, compact, steel exhaust manifold and impellers that weigh approximately 25% less than those of preceding models, builds boost pressure more rapidly. Fuel is supplied by means of new high-precision injection technology which allows injection pressures up to 350 bar. The current version of M TwinPower Turbo technology also features Valvetronic fully variable valve control and Double Vanos variable camshaft control. The new M340i sedan will be equipped with the OEM’s 8-speed Sport Steptronic transmission. The latest upgrade for the automatic transmission features a new, optimized hydraulic control system and shorter gearing for improved response and acceleration. Intelligent connectivity enables the sport automatic transmission to adapt its shift strategy according to the route and driving situation. Working with the standard navigation system, the transmission uses data from this system and from the optional active cruise control system’s radar sensor.